A tad bit sweet, with a little heat. 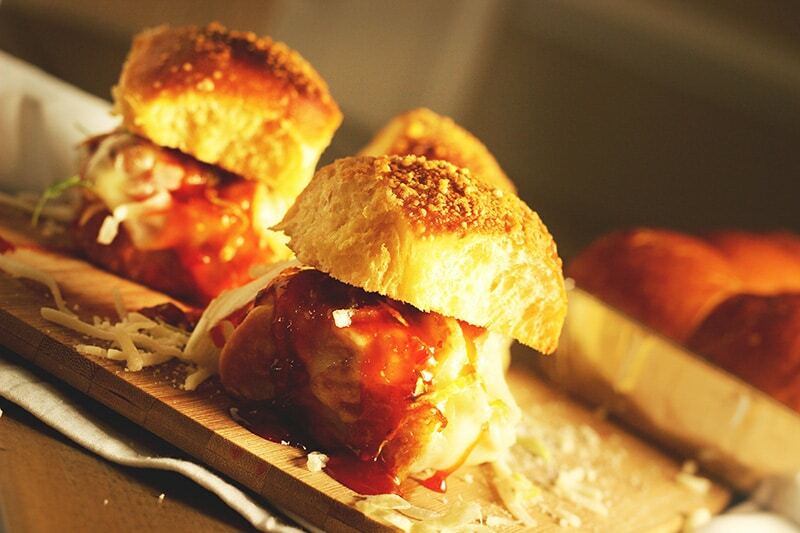 These sweet chili chicken sliders are the perfect combo of sweet, spicy and oh so saucy! I never use to be able to eat anything even slightly spicy, so my family didn’t get anything spicy out of the comfort of my kitchen. But I guess with age your palate changes, which can be good or bad. For me, my palate has become more tolerant of spicy foods, which has opened up a whole new world. One of my favorites is anything made with Sweet chili sauce. That stuff is just heavenly. Sweet has never been my struggle, but now I can enjoy the sweet heat, and it is simply marvelous. But what I have noticed, is anytime that I make something even slightly spicy, the old man is sitting up before bed belching with indigestion. He usually just tolerates it, until he gets comfy. I feel so bad because, for a great part of his life, he has been an insomniac. Really all his life until we recently started our nighttime sleep routine with sleepytime tea. So to put him in a position of not being able to sleep, just doesn’t sit well. I offered to go back to my old ways of mild-mannered food. And he wouldn't hear of it. So being the (good) wife that I am, I found a solution. 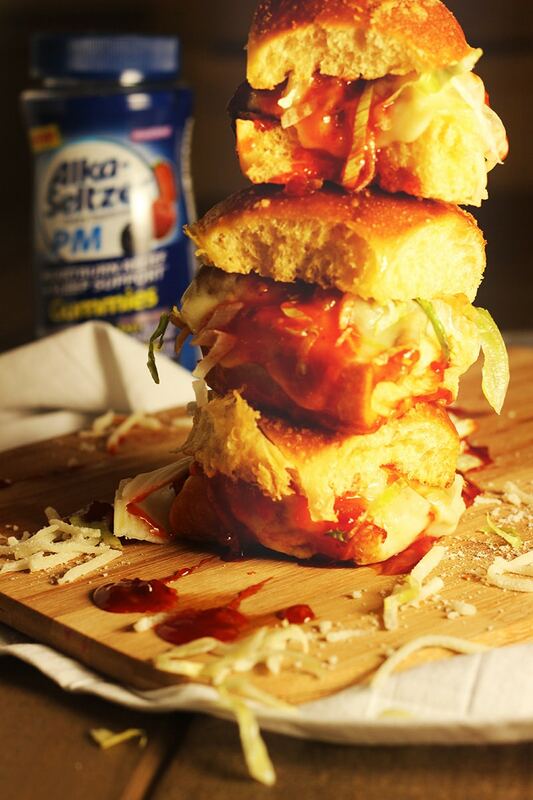 While stopping in WalMart recently, grabbing a rotisserie chicken for these sliders I planned to make, I stumbled upon Alka-Seltzer® PM Gummies. They were on an endcap in the middle of the aisle, and it was as if the universe was trying to help me get “wife points”. 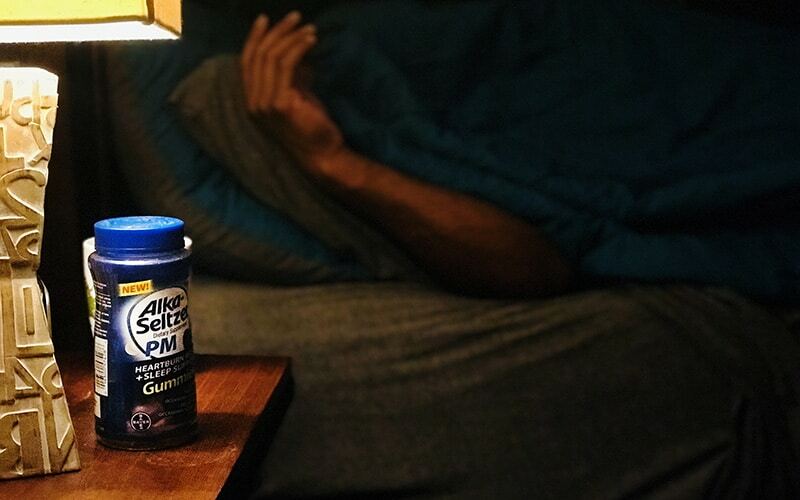 Alka-Seltzer® PM Gummies are the only fast relief of occasional heartburn with sleeplessness that helps you get to sleep too. This makes the old man able to have the best of both worlds. Good food straight from his lady’s kitchen, without missing a moment of sleep. I have introduced some spice into our lives, but I only do it sparingly. 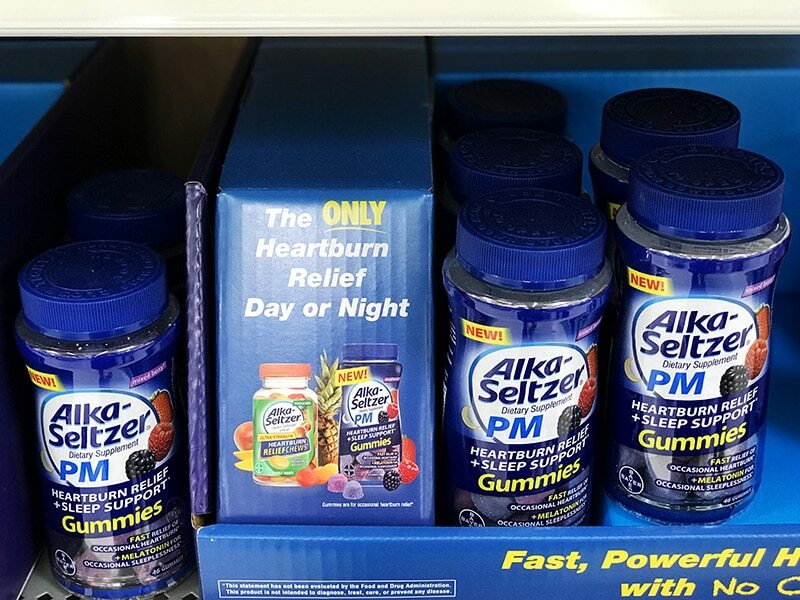 Because Alka-Seltzer® is only good for occasional heartburn and sleeplessness and should not be used as a regular indigestion treatment. And because I dare you to give it a try, I have two things for you to do just that! This is one of my favorite weeknight, thirty-minute meals. These Sweet chili Chicken Sliders are a perfect quick meal for those times you either don’t want to be in the kitchen or don’t have a lot of time to spend there. Because I use a pre-cooked rotisserie chicken there was minimal cooking required. 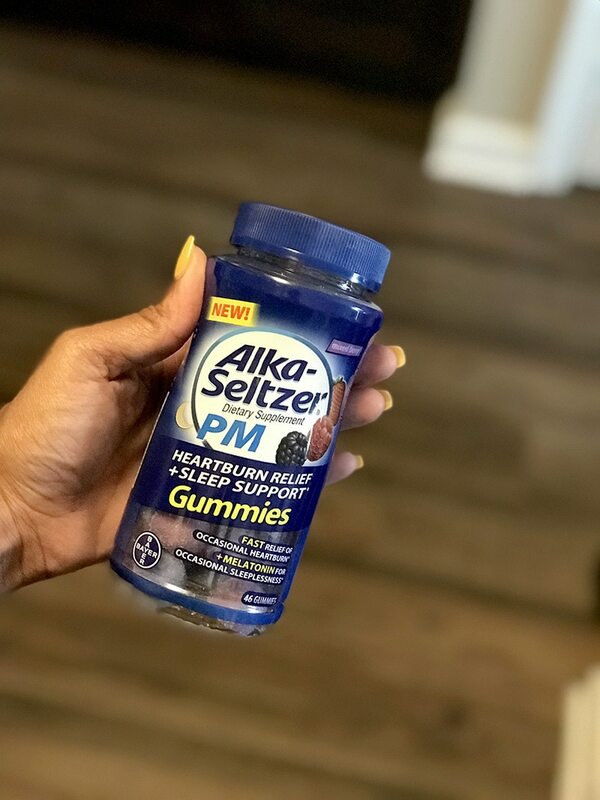 While Alka-Seltzer® PM Gummies does not prevent heartburn, it does provide relief of occassional heartburn and sleeplessness. And my hubby said they did help him to not miss a beat after eating these Chicken chili Sliders. So I won! Remove meat from bones of rotisserie chicken. Align bottoms of slider buns on baking pan. 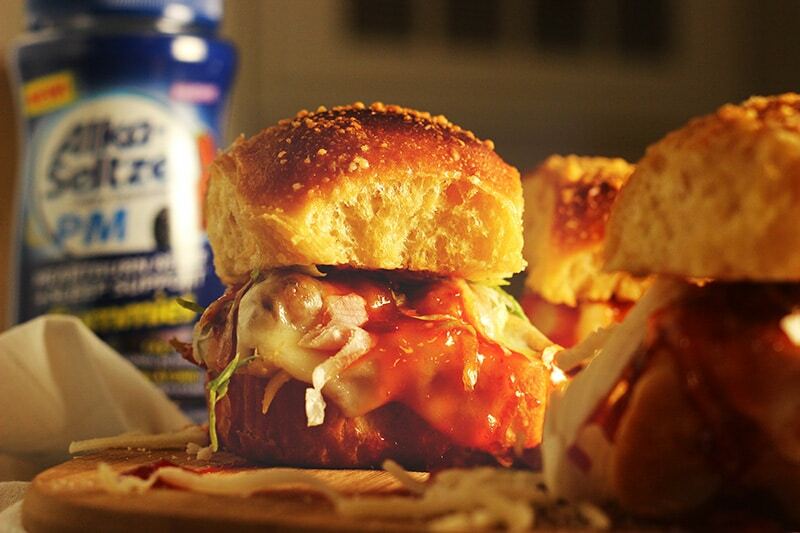 Top with shredded chicken, cheese and add bun tops. Coat bun tops with spray butter or brush with melted butter. Sprinkle with grated parmesan cheese and place in oven uncovered. Leave in oven until cheese is melted and bun tops are toasted. Roughly 10-12 minutes depending on your oven. Remove and top with lettuce, sauce and any other desired toppings such as mayo, tomato, etc. If you have suffered from occasional heartburn with sleeplessness after eating your favorite spicy dish, then I strongly suggest you give these a whirl. Here is your coupon code as promised for savings on Alka-Seltzer® products. 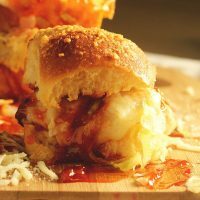 Interested in making Sweet Chili Chicken Sliders? Hit the Pin Button Below and Save For Later!